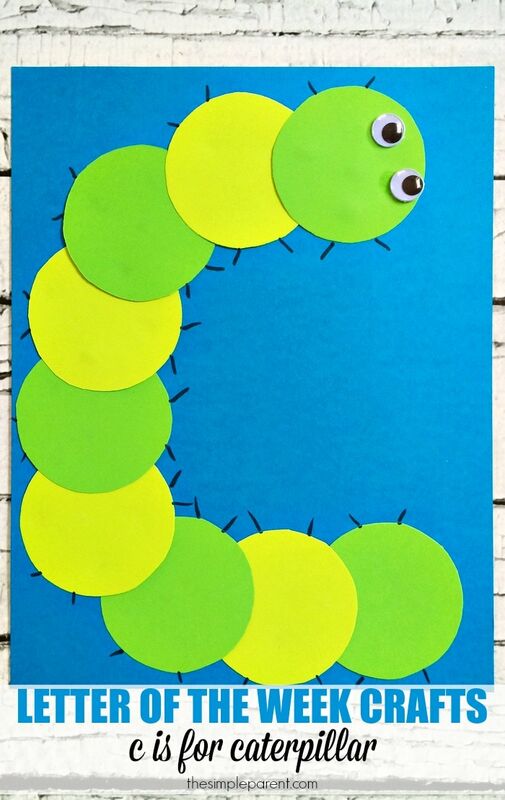 We’ve been having a blast with our Letter of the Week Crafts and so this week we’re continuing our Letter of the Week Activities with this fun C is for Caterpillar craft! Be sure to check out last week’s B is for Bunny craft if you’re looking for more alphabet crafts. 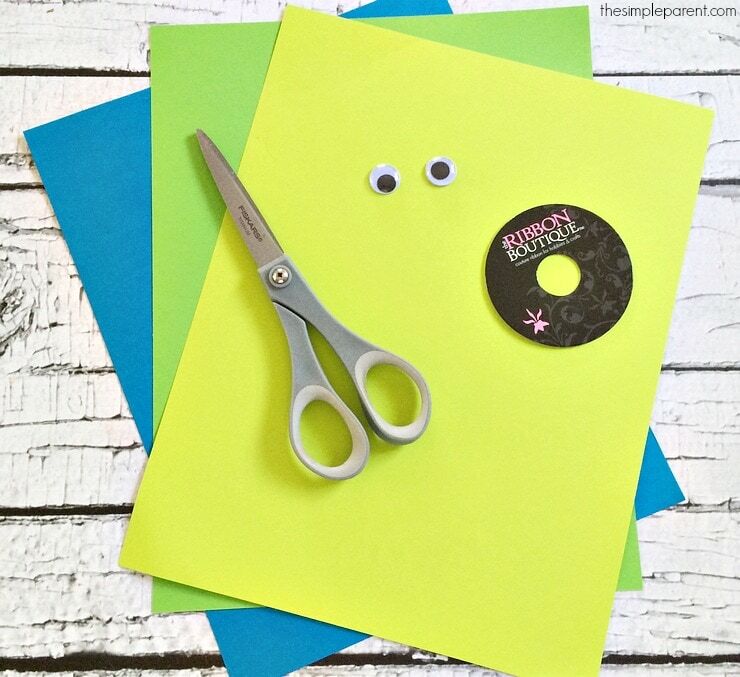 And check out the bottom of this post for some fun book ideas to read along with this craft! 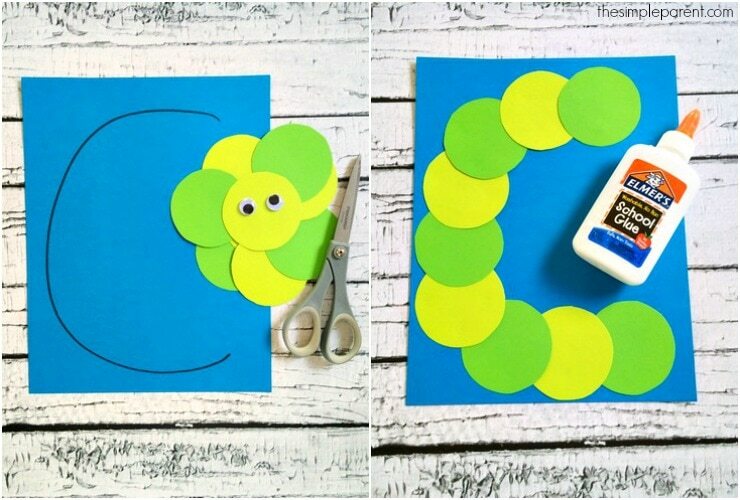 This is a fun and easy craft for the letter C. It’s also a great one for talking about the circle shape. 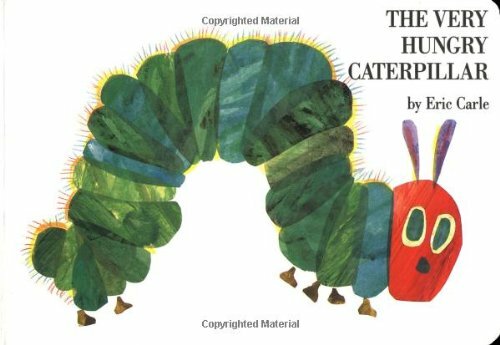 You need a lot of circles to make this cute little caterpillar! Letter of the week activities that are flexible are my favorite type. 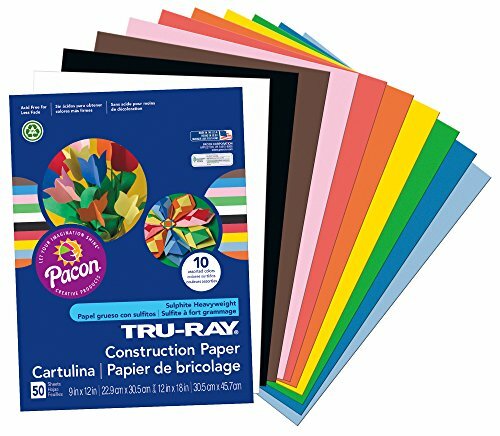 We used the colors of construction paper that we had on hand, but you can use any colors you have! 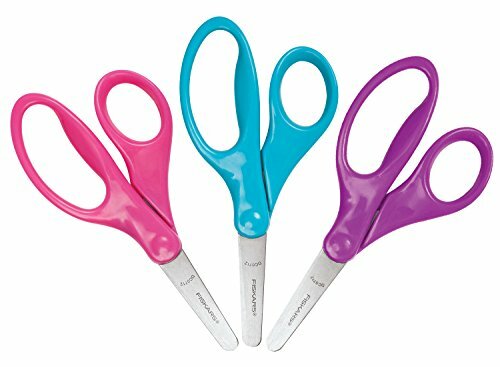 I’ve included some affiliate links in case you need to order some supplies. 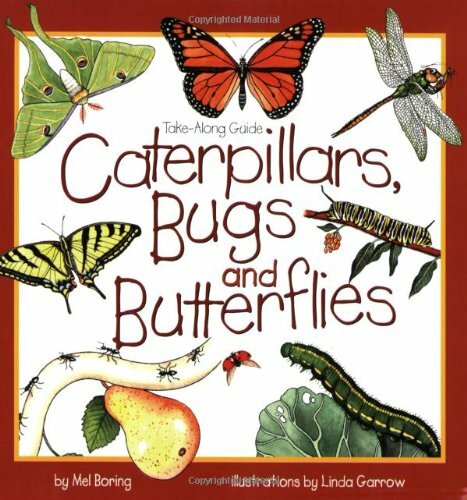 Then you can check out some of our favorite books to go along with this craft! Draw a large letter C on your blue paper with your black marker. Trace the bottom of a glass or a ribbon top onto your green and yellow papers about 9 times. Cut out all 9 circles. Start at the bottom of the letter C and glue the circles on the letter, alternating colors. 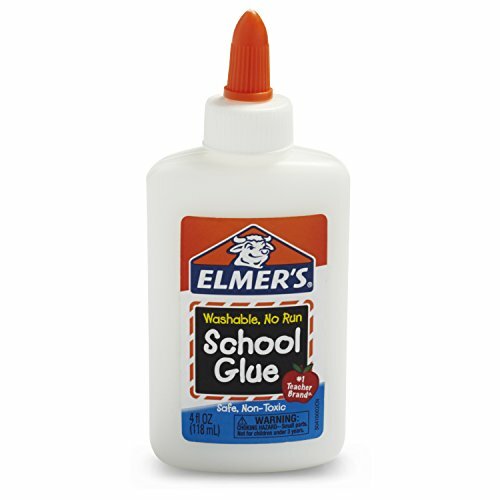 Glue your craft eyes onto the top circle. 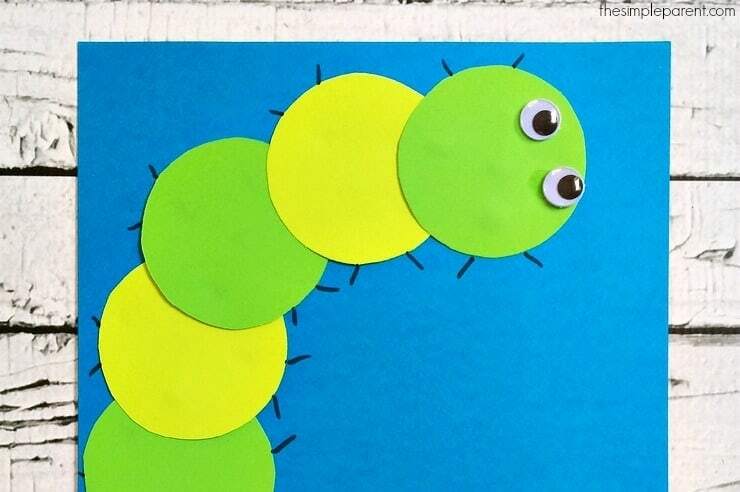 And you have a cute little caterpillar paper craft made from circles! 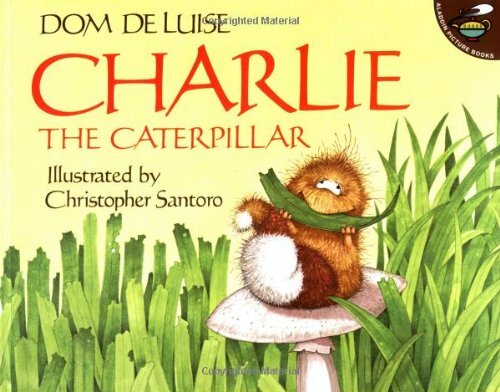 Some of our favorite books to go along with this craft are the classic The Very Hungry Caterpillar by Eric Carle and Charlie the Caterpillar by Dom DeLuise.